Men's Health Week 2013 is over and we are already talking about next year. Fill in our quick survey to help. You can fill in the survey now. This year's Men's Health Week saw hundreds of events take place around the country and attracted a lot of news and online coverage. We want to know what you thought about Men's Health Week in 2013 and what we should do for Men's Health Week in 2014. 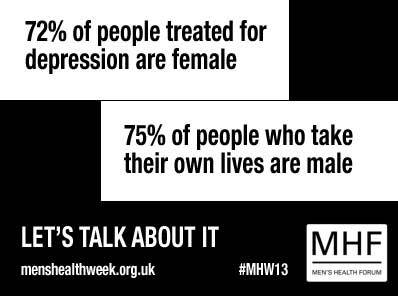 The Men's Health Forum co-ordinates Men's Health Week in England and Wales but the week's success is down to all the organisations and individuals who get involved by holding events, attending events and talking about men's health. Fill in the survey now - let's talk about Men's Health Week! Men's Health Week 2014 will take place from the 9th to the 15th June.